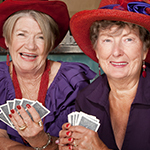 Assisted Living Senior Care in Boise | Grace Assisted Living – We offer assisted living senior care in Boise Idaho. You can be a participant or a spectator. Sit back and sip coffee with a friend while being entertained by a pianist, or take out your favorite sheet music and entertain yourself and your friends. How about a game of pool or a dance in the great room? The point is – at Grace you live life at your own tempo. We provide the opportunities. You set the pace. Think about it. You don’t have to shovel the snow, mow the lawn, rake the leaves, pay the bills, do the laundry, make dinner or worry about taking the right medications. The Grace staff is here to assist so you may enjoy the quality of life you deserve. Our job is to make sure you feel safe, secure, and well cared for in your new home. Not only that, we want you to have fun. We love lots of company, so we have parties, classes, recreation, outings, Christian Bible studies and singalongs. And if you have any special requests, we’re all ears. Single-level communities with studio, one, and two bedroom apartments. This is the best thing that's ever happened to me. When I came here I only weighed 145 pounds. Now I'm a healthy 185 pounds. They took me in as part of the family. The staff has bent over backwards to make me feel at home, and I'm in for the long haul. I feel so at home here. If I feel like sitting in the living room by the fireplace, I just do it. I didn't have a fireplace at home but always wanted one. When I entertain my family, we just go down to the pool table or the living area and enjoy ourselves. There are always drinks and snacks available. I also like the fact that I don't have to leave for church services. The missionaries come here and are also available for special prayer. Everything is beautiful here - the food, the staff, the girls, my walks. My son lives next door to Linda Hines, and that's how I got to know about Grace. Now I'm here living the life of Reilly. Just look at us, we're all happy! Everything is beautiful. 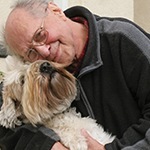 I moved into Grace Assisted Living when it opened in 2005 from my home where I had lived for many years. I lost my husband after sixty-seven years of marriage. But I have been happy here. They treat me well, and I could not have found a better place. I love my apartment, and the staff is very thoughtful and helpful. 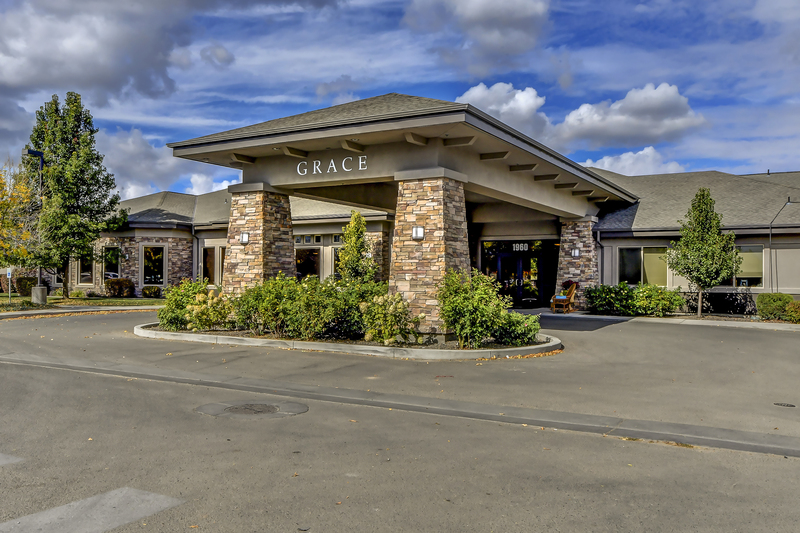 Grace in Boise is conveniently located near Franklin Ave and the Boise Connector. Close to the Boise Town Square Mall, St. Alphonsus Hospital, family homes, restaurants and schools. Residents at this community enjoy the quiet atmosphere of suburban living with the convenience of nearby amenities. Grace at State rests between Boise and Eagle. Located in a developing residential area on State Street this community provides easy access to both Downtown Boise and the greater Meridian area. Residents at this community get to enjoy a great view of the Boise foothills and close proximity to the Boise River. Grace at Caldwell is just minutes from hospitals and shopping with easy freeway access, it is nestled in a rural setting. Inside you will find spacious, comfortable conversation areas that will make it easy for you to make new friends. Residents at this community enjoy the atmosphere of a warm rural setting with easy access to the freeway, shopping and other nearby amenities. Grace in Meridian is nestled back in a residential park off of Fairview Ave. 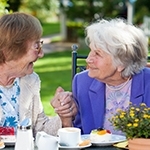 This location caters to residents looking for Assisted Living Care or Memory Care. Close to the Village in Meridian this community provides access to the essentials for living and entertainment. Grace at Nampa is set in a quiet neighborhood looking out into Liberty Park and Community Center. Close to family homes, shopping, restaurants, and the St. Alphonsus Hospital. Residents at this community enjoy recent facility addition which includes a theater, large activity space and remodeled apartments. Grace in Twin falls is the newest Grace community. This community is conveniently close to both St. Luke’s Hospital and downtown Twin Falls.